Depending on how you look at it, warm February days are a tease, an opportunity, or a save the date for a great big party. Generally, it's too muddy to garden or work the soil. It's too soon to plant even the earliest crops. There will surely be another frost before April. Though basking in the vaguely warm sun is a tempting option, garden junkies should dust off their loppers and get to work. 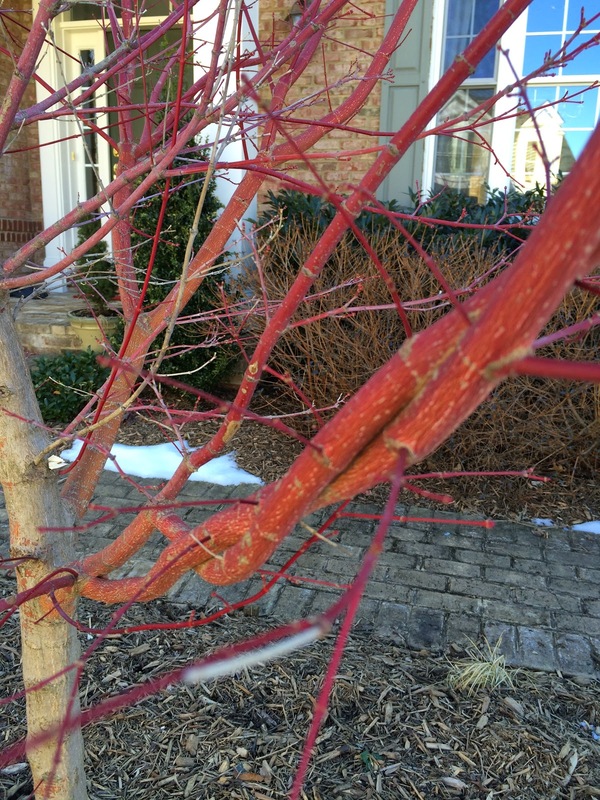 Late winter is the perfect time for pruning. dead wood before the last cold snap gives cuts a brief chance to heal and encourages vigorous new growth in spring. It also allows the gardener to shape the plant, before foliage hides the branch structure. Summer flowering clematis can be cut back. Prune flowering shrubs that bloom in mid- to late-summer, but leave spring bloomers alone. Vigorous climbers, such as this Clematis 'Jacmanii', may be cut back to 12 inches from the ground. Shrub roses also benefit from a trim in late winter. Azalea, spirea, vitex, and other early spring flowering shrubs and trees should only be pruned in late spring, immediately after their blooms fade. 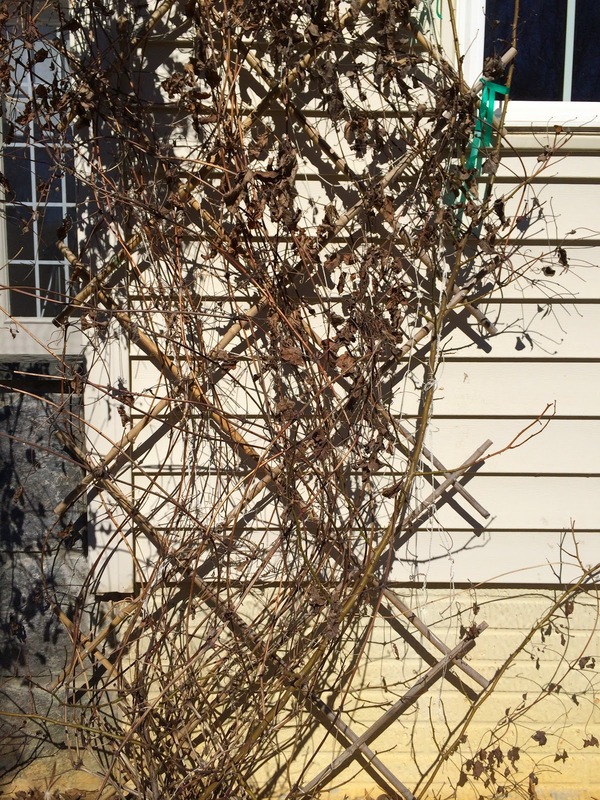 It is unnecessary to prune hydrangea or crape myrtle, unless they've outgrown their space. Remove 1/3 of the oldest branches to obtain the desired size or shape. 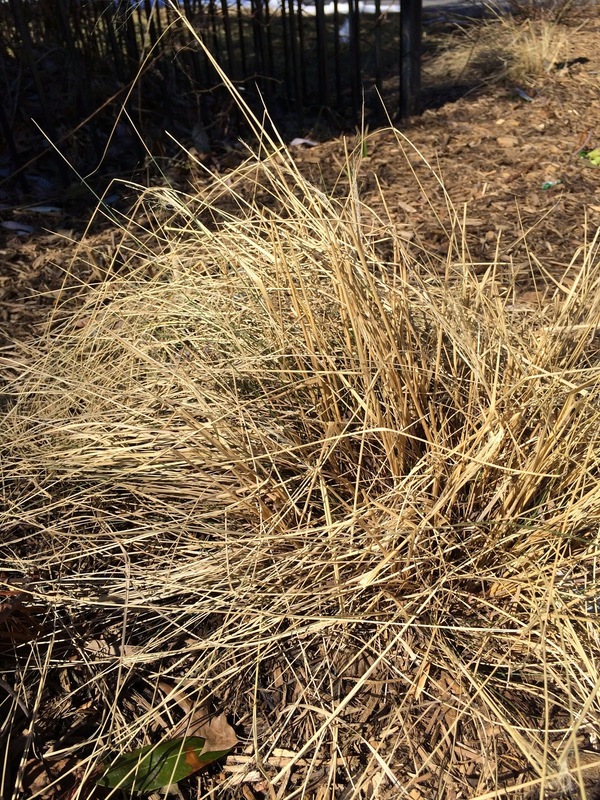 Trim ornamental grass to encourage new growth. now be removed. Remove suckers from the base of trees, but be careful not to prune fruit trees until after the fruit matures. After this harsh winter, a stroll through the garden on a warm February day is full of pleasant surprises (my young fig seems to have lived! ), as well as disappointing news (two rosemary shrubs that witnessed the rise and fall of the herb bed have seen better days). Now I can retreat indoors, where I'll spend the rest of the season planning my garden's future. What's that they say about the best laid plans...?